I don’t know what perverse logic provoked me to pick up Dark Summit and High Crimes to read when I returned from Everest, but perhaps it’s a good thing I didn’t read them before I went. There’s been lots of negative press about commercial expeditions to Everest this year. The coverage was so uniformly damning of Everest climbers that it began to grate and I had to respond. I felt like I’d just completed a stage of the Tour de France only to be told that all cyclists are drug cheats and any fool can ride a bike anyway. Did I think reading a couple of books which highlight everything that’s bad about commercial mountaineering was going to lower my blood pressure? In fact it proved to be a good antidote. While both authors are journalists and don’t shy away from voicing their opinions, they are also both climbers, and have probed more deeply into the issues than daily newspapers do in their mission to produce balanced accounts. Between them the books follow the stories of five climbers as they pursue their dream to stand on top of the world’s highest mountain. All of them are horror stories, and only one of them has a happy ending. Nick Heil’s book covers the 2006 season on the north side of Everest. 11 climbers died on Everest that year, most of them on the north, and they died not in a single storm as they had in 1996 (a year when 12 climbers lost their lives, 8 of them on a single day), but in a series of unfolding tragedies. David Sharp was a British climber who was attempting Everest for the third time. He was climbing unsupported (ie. on his own, without a team or Sherpas to help carry his kit and help out if things went wrong) and he was carrying oxygen only for use in an emergency. He was last seen on his scheduled summit day ascending very slowly above the Third Step (an hour or two away from the summit) when everybody else was already on their way down. By the following day he had descended as far as a tiny rock cave below the First Step, an hour of descent from Camp 3 for a healthy climber. By then he was badly frostbitten and could no longer stand up, let alone walk. Forty climbers passed him that day, and although many stopped to help him, he was too far gone and all of them eventually abandoned him. Thomas Weber was a German climber who suffered from an unusual disability which caused blindness at high altitude. He approached several commercial operators to climb Everest, but all rejected him as a client because his disability would put his guides and Sherpas at too much risk. He controversially hired a Dutch climber called Harry Kikstra as his guide, who had climbed Everest only once before, the previous year when he needed to be helped down after contracting cerebral edema. On summit day Thomas lost his eyesight and coordination above the Third Step and was persuaded to turn around. He collapsed and died beneath the Second Step after his crampons became caught in fixed ropes while descending a ladder. Lincoln Hall was an Australian climber who reached the summit very quickly and in good health but suffered an extraordinary collapse above the Third Step during his descent, less than an hour beneath the summit. It took his Sherpas several hours to get him to a place called Mushroom Rock below the Second Step, but they were eventually forced to abandon him when he became unresponsive and they feared for they own lives if they didn’t return to camp. He was found alive, talking, and apparently able to stand and walk by members of another team the following morning. 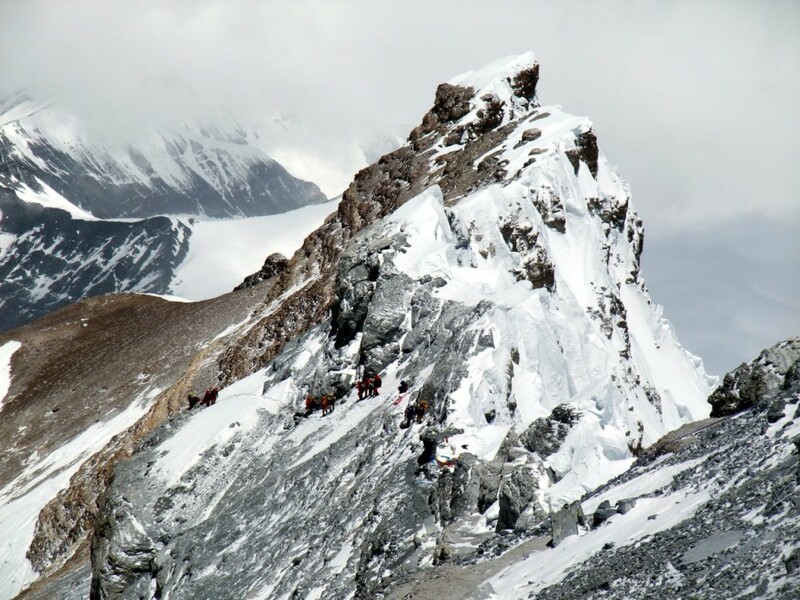 They remained with him for several hours until Sherpas arrived to help him down. He lost fingertips and a toe to frostbite, but otherwise survived. He died of cancer on March 20 this year. Michael Kodas’s book is partly autobiographical, covering his own expedition to the north side of Everest in 2004 with a team of climbers who led respectable lives back home in his native Connecticut but turned into a pack of liars, thieves and degenerates when they reached Everest. Chief among them was expedition leader George Dijmarescu and his Sherpa wife Lhakpa. While George abused Lhakpa in front of his team mates, her Sherpa staff demanded more and more money from the climbers for services they believed they had already paid for. Meanwhile Michael documented all the chaos day by day for his newspaper’s website, causing further tensions among the team. His book also covers the story of Nils Antezana, a wealthy Bolivian-born American who was climbing Everest on the south side at the same time. Nils hired an Argentine called Gustavo Lisi as his guide, believing him to be an Everest summiteer, unaware Gustavo had faked his summit claim with stolen photographs, and had a past history of abandoning clients on mountains. Gustavo abandoned Nils as well, and left him for dead at a place called The Balcony, several hours above Camp 4. He didn’t report the incident until two days later, by which time a rescue attempt was out of the question. Does climbing Everest always mean tragedy? 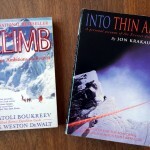 The back covers of both books are emblazoned with tabloid style headlines: “a gripping tale of high altitude disaster” and “a gripping account of life on top of the world – where man is every bit as deadly as Mother Nature”. 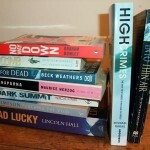 The subtitle of High Crimes is “The fate of Everest in an age of greed”, while Dark Summit‘s is “The extraordinary true story of Everest’s most controversial season”. But if you read them expecting to hear commercial mountaineering get trashed, as I did, you’ll be surprised. While Nick Heil began from a critical standpoint, he came to sympathise with big commercial organisers, seeing them as the people who keep the mountain safe against the ‘independent’ climbers who try to exploit their equipment and services for free. Michael Kodas comes across as a little more disapproving, perhaps understandably given his personal experience, but his concern is principally with charlatan operators rather than the commercialisation of Everest in general. High Crimes is perhaps 50 or 60 pages too long, however: as though his own and Nils Antezana’s stories aren’t enough, Kodas finishes with a surfeit of other tales of disaster and dishonesty which left me feeling like I’d been assaulted with a sledgehammer. By the end of it, having read Dark Summit first, I found myself yearning to read a book about mountaineering that doesn’t involve a disaster. There are plenty of them about. There are also plenty of reasons why these five horror stories shouldn’t be seen as typical. Of the five stories described, Lincoln Hall’s is the one that stands out like a bishop in a brothel. He was a very experienced mountaineer (he had already climbed a much harder 8000m peak Makalu, and was part of the first Australian team to climb Everest in 1984), he hired a reputable commercial operator in the form of the Russian 7 Summits Club to arrange his climb, and he survived. 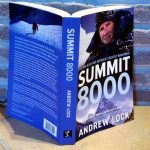 While the account of his climb in Dark Summit is the one generally accepted (being the one he described in his own book Dead Lucky), parts of the story are still something of a mystery. Why did he collapse so suddenly when he’d been going strongly until then, and how was he still fit enough to walk the following day having apparently contracted cerebral edema and spent a night in the open without oxygen at 8500 metres? Unless other participants in the story, such as the climbers who found him the following morning, give their own detailed accounts we will probably never know. For the characters in the other four sad stories there isn’t much mystery. While I mean no disrespect to any of them, they all made crucial mistakes. They were all inexperienced at that level (or in David Sharp’s case too inexperienced to be climbing unsupported), made the wrong choice of guide or operator, and in three out of four cases never returned. The moral of the stories seemed very clear to me. If you dream of climbing Everest, don’t rush it. Get the right experience first (by which I mean at very high altitude in the Himalayas rather than technical climbing in the Alps or Rockies) and this in turn will help you to make the right decisions and hire the right people when you decide to climb Everest. If Dark Summit and High Crimes tell us anything, it’s that there’s a lot of money floating around on Everest, and that attracts sharks. What they don’t tell us is that for every one of the people they describe, a hundred more have happy, enriching and in many cases successful expeditions. I concluded one other thing from reading these two books. My recommendations from Amazon are now overloaded with books containing titles which speak for themselves: “No Way Down”, “A Day to Die For”, “Savage Summit”, “The Mammoth Book of Mountain Disasters”. 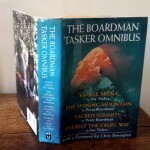 Too many publishers seem to believe the only mountaineering books which will sell are ones involving death and destruction. But I’ve read a great many books of mountain literature where people neither die nor reach the summit. The early 20th century books by the likes of Shipton, Tilman and Smythe are good examples. Many of these stories involve exploration and an attempt on the summit, followed by ignominious retreat. Yet these books are filled with humour and a spellbound appreciation of the amazing world we live in, and every time I read them I yearn for the mountains. But these days the authors would probably have to self-publish. I’m now reading The Shining Mountain by Pete Boardman. 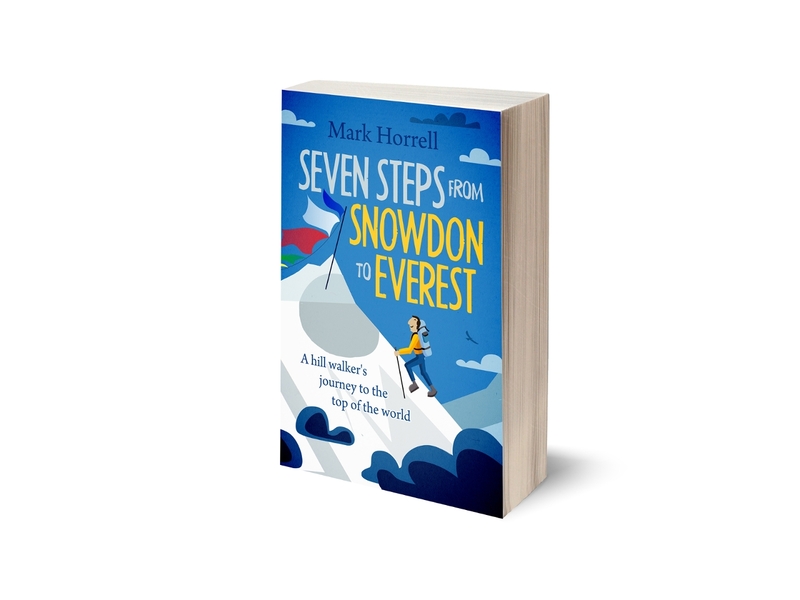 Yes, I know he eventually died on Everest as well, but this is the sort of book I’m talking about. They both returned alive and it’s a fantastic read. Congratulations on your Everest summit. As usual, your write up is excellent and humorous. I have enjoyed following all your climbs and looked forward to your dispatches with great anticipation. You do a great service to all prospective mountaineers by examining these details over which we pour before committing to expedition life and the requisite sacrifices that entail. Ah, I remember, we’ve spoken before haven’t we – you’re one of the four Americans who were going to come to Gasherbrum with us but pulled out in the end! Mark – thank you. I am not a climber, however i just picked up High Crimes. And, yes, it really is an addictive read. It is also a depressing read. But your article lifted my spirits by pointing out to a newbie like me that there are many, many more happy endings than there are disasters on Everest – or mountaineering in general. and not everyone, guides or sherpas, are liars and thieves. I may never climb Everest(yet who knows), but i really get excited reading about the adventures of those who do!! Thanks again for your wonderful blog. I am now a fan. I have a question that if it is possible to lift david sharp’s body from green boot’s cave, then why dont that Green Boot( Tsewang Paljor)’s body?? its more than a decade that his body was there.. what the real meaning of landmark?? is it a financial matter or may be his (GB’s)family want him to rest him there?? I would love to have an answer to Krist’s comment. Why not move green boots body and make a marker for Paljor?